Deposit:$5,000 with agreement, Balance of 5% in 90 days, 5% in 240 days, 5% in 365 days, 5% in occupancy? 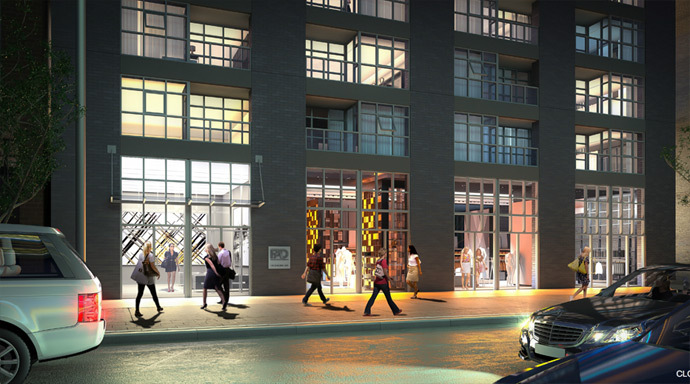 Coming to a runway in the Fashion District Toronto real estate market are the new and exciting Toronto FAD Condos by Triwin Develompents! These are the most highly anticipated Fashion District condos in Toronto this year! Where Spadina meets Queen West Toronto FAD Condos will take centre stage in the world of entertainment, nightlife, fashion and culture. Fusing the Garment District along Spadina with the trend setting fashion scene of Queen West, the end result by boutique Triwin Developments builder is a hip, fashion forward residence called FAD Condos: Toronto Fashion District Condominiums, which represents a stunning residence where style is its core. According to the latest information, the actual project site for the new Toronto FAD Condos is at 170 Spadina Avenue Toronto and the initial presales price point should start from the mid $200,000’s. This is great value for the up and coming Fashion District Toronto real estate market which has seen an explosion of new boutique projects. The Triwin FAD Toronto Condo project will also offer an impressive 186 suites for sale, which makes it a boutique style project without the high-rise feel. The Fashion District FAD Toronto Condos will be a high-rise tower of 17 storeys in height. The original proposal for the Triwin FAD Toronto condo building was for a four storey below grade parking garage as well for 65 parking stalls. Spadina meets Queen West is the tag line for the Fashion District FAD Toronto Condos as it is in the crossroads between the Fashion District and Queen West district … both of which are highly sought after at this time for first time homebuyers, professional singles/couples, urbanites, downsizers and investors. The site had a Blockbuster Video which was closed last year. The architecture for the pre-construction Toronto FAD Condo tower is by Wallman Architects (we cannot confirm 100% at this time, but it looks like it is set). The building is clad in brick, which gives it the traditional warehouse style feel an texture. The FAD Condos in Toronto Fashion District are brought to you by Triwin Developments and 3rd UNCLE Design. 3rd UNCLE Design exists to create environments that inspire urban living at its best. As a multi disciplinary design firm based on Toronto, 3rd UNCLE Design has established a great reputation on its innovative approach to design for a diversity of clients that now includes the pre-sale Toronto Fashion District Condominiums, known as the Triwin FAD Condos for sale. Established back in 1997, 3rd UNCLE Design’s work has been consistently acknowledged by national as well as international media as demonstrating creative and conceptual thinking in the design of spaces that are sensual and memorable. This is carried straight through to the new Fashion District Toronto FAD Condo building by Triwin Developments at Spadina and Queen West. 3rd UNCLE Design has a unique design process that will focus on providing a comprehensive analysis and services for clients. They are hands on up to the completion stage of the project. 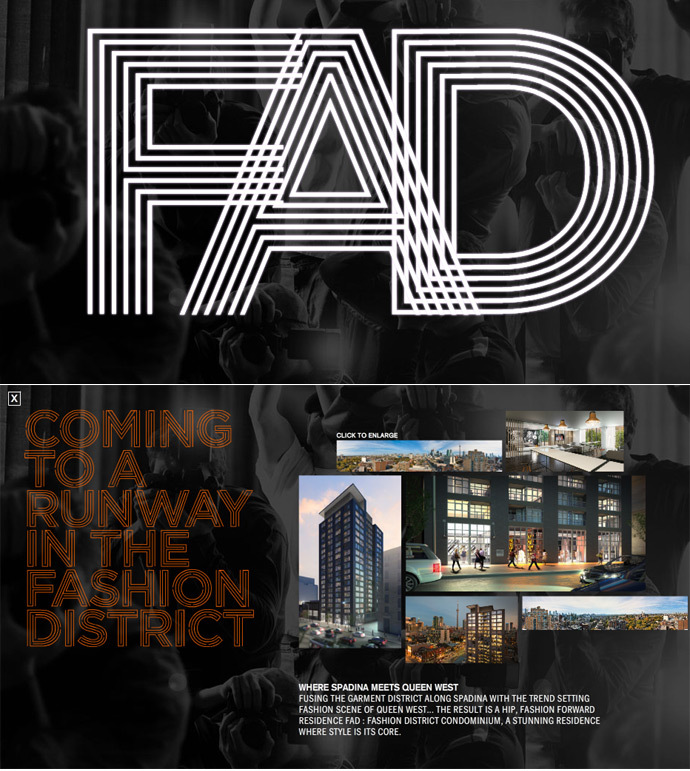 The architecture firm chosen for the pre-sale Toronto Fashion District condos called the FAD Condos is by Wallman Architects. The group at Wallman Architects is currently directing the design and construction of Toronto real estate’s foremost residential and mixed use developments including the new pre-sale Toronto FAD condo building. The Wallman Architects expertise and experience of over twenty five years includes design, contract documents and contract admin. They are recognized for incredible design and architecture and the new renderings for the pre-sale Fashion District Toronto FAD condos has been well received by the general public and prospective homebuyers for the Spadina and Queen West condominiums.